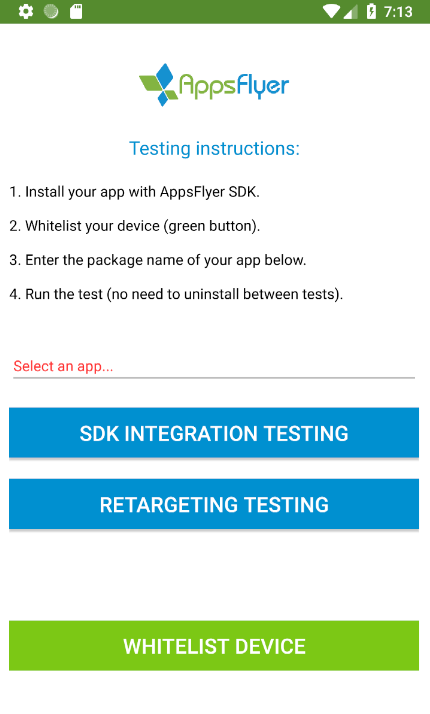 AppsFlyer provides advertisers the option to whitelist devices for testing purposes. This allows you to test that installs are recorded. The reason for whitelisting a device is due to the 90-day re-attribution policy. By default, an install is ignored if we see a previous install on the same device within the last 90 days. The only exception is if the device is on the whitelist, in which case all installs from this device are considered "new installs". 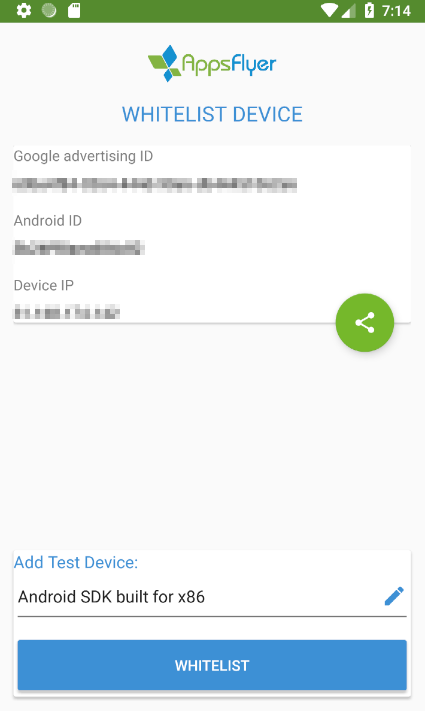 With AppsFlyer Device ID app you can easily view your Device ID and directly whitelist your device as a test device in your AppsFlyer account. In addition, the app allows you to share this information easily. Click Whitelist (for Android, click Whitelist Device and then Whitelist in the next screen). You are prompted to enter your AppsFlyer login details after which the device is whitelisted as a test device in your AppsFlyer account. Click Share to share the Device ID information using the system share dialogue. Alternatively, it is possible to whitelist a test device through the AppsFlyer Dashboard. 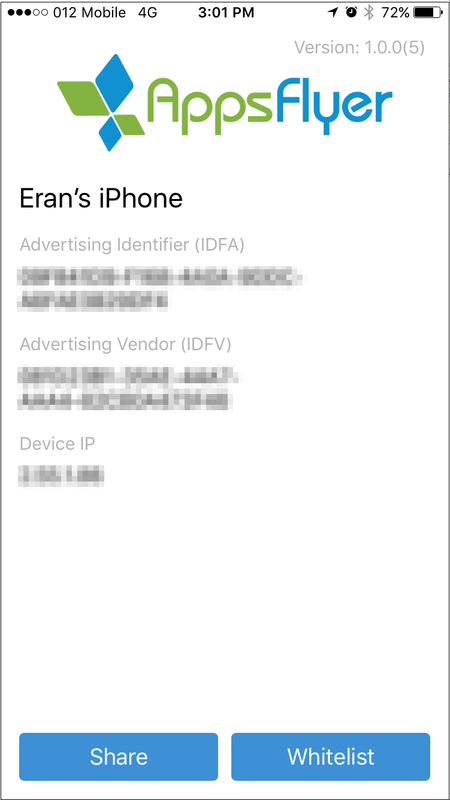 Enter the Device Name and ID (for iOS: IDFA. 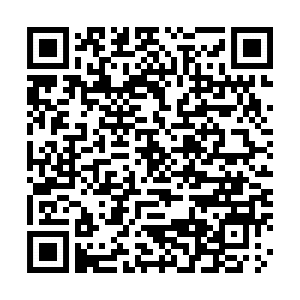 For Android: AID, Android ID, IMEI). For more information on this, click here. Download the AppsFlyer Device ID App, here. Click Save only when you have completed these fields. A green Added confirmation pop-up appears in the lower right-hand corner of the screen. As soon as the device is added, it appears in the devices list until you delete it. After the device is added to the whitelist and you generate a click and launch a newly installed app on the test device, you can see a new click and non-organic install on your dashboard. You can whitelist up to 40 devices per account.